God’ World News is like a mini magazine for kids. They have different magazines for different ages and for this review, we received Trak which is for High School students. Full-year subscriptions includes 10 big, full-color, monthly issues (every month except December & May). School-year subscriptions include seven monthly issues (September – April). 32 pages per issue, filled with age-appropriate news and features. Click HERE for a Sample and to see other samples, listed in the right hand side. I wanted to start out with letting you know our past viewing of God’s World News. My daughter use to bring them home (Early Edition) from her private school. Then when I started homeschooling, we got our own subscription to Top Story. We really enjoyed them but because we moved a lot we decided to not get them any more. I was so happy to see them come up for review that I put in for it. I am so glad I am receiving them. I had never seen a Trak in person, only an online sample. Trak lives up to my expectations and I actually enjoy it more than my daughters. I laugh at the comics all the while telling my husband “You have to read this”. I like that they cover some topics that could be considered controversial. You may or may not agree with their stance on things, but that is OK. I want to read about what other people think, its a way to learn in case you ever get in a debate. You may see articles or snippets on things that you may not expect to see in a Christian magazine. In (insert issue) there is a picture of the Hunger Games, but the article really has nothing to do with the movie, just a reference to archery, which is good because I really don’t think its very Christian-ly, but then some may disagree with me. I personally don’t like the references to the Hunger Games and any of those controversial secular topics. But like I said, it may not bother others. Its not a big deal and it really does just mention the movie in a sentence or two, so I just over look it. I don’t make a big deal about it. If they were glorifying the things I am against, I would just take a marker and black it out if I felt the need. There are lots of different topics covered and different lengths of articles. There are some a few pages, and some just a paragraph. You will read more serious topics and you will read some that are just interesting, inspiring, funny, science-y, inventions, Government issues, etc. They really cover a wide variety of things. I really like the science themed articles, but nothing beats the comics. I can always use a good laugh and I sure got one while reading a comic from the October issue. It states “Company Seeking Applicants For Mars Colony Program” and then there is the guy saying “Anthony Weiner, Alex Rodriguez, Linday Lohan…” and the receptionist says “Sir, You nominate yourself, not others…” and I am thinking I can add a lot more to the guys list. I love comedy so this is the first section I read. There are other sections like Reply All where readers respond to things in past issues. There is also a section called Sidetraks that has lots of interesting snippets. I really enjoyed the snippet in this section, August Issue, about a guy named Frederick L. Gray who finally received his High School Diploma “after taking several years’ break because of extenuating circumstances-namely the Great Depression and World War II.” I just loved how they worded that. It was funny, yet touching and inspiring. Goes to show its never too late! One of the perks of the God’s World News is their website www.teen.wng.org which is for teens and it correlates with the magazine. 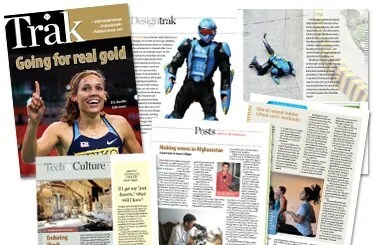 You will find featured stories, culture, beliefs, and must know news. These topics cover all kinds of interesting news facts, discoveries, comics, science, technology, and more. Its a nice addition, especially if you like to use the internet for learning. In the art section you will also find downloads and quiz/questions for comprehension practice for the articles. This is a safe site with out objectionable advertisements or links to other sites except those for other World Magazine sites. We leave these out on the coffee table and when we sit down for a rest, we just pick one up and read what grabs our attention. I have not been planning anything around them because we really like it best to just read which article interests us at the time we pick it up. When I see one of the girls reading, I can then ask them what article were they reading and then they will tell me about it and I can ask questions. We really are enjoying these mini magazines. They are a lot of fun and interesting. I think they would compliment any homeschool curriculum, or if you are like me, they make a great addition to your “grab and read” pile. 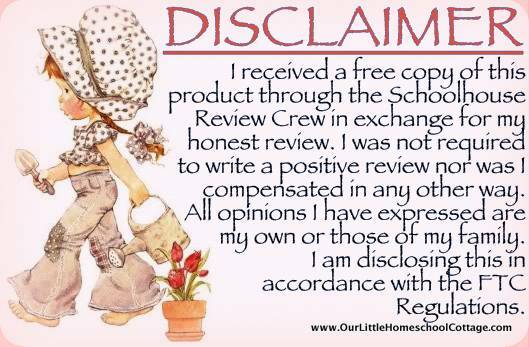 This entry was posted in HomeSchool Review, Review, TOS Crew Review. Bookmark the permalink.